Gurgaon-based online payment solution firm PayU India Internet Pvt Ltd has launched a new offering called 'All-in-One' payment settlement solution, which it claims will reduce the payment settlement headaches of marketplaces (like Snapdeal and eBay) and online aggregators (who cumulates different items and services for selling or payment collection purposes) in the country. The solution addresses the problems related to money settlement and enables marketplaces achieve higher efficiency by providing better control over fund disbursements mechanisms. "A marketplace or an aggregator sells to buyers from its website and in turn settles money to thousands of sellers for every transaction that happens on its website. However, the payment settlement happens through standard sources of payments like- cash, cheques, NEFT transfers, etc. This typically leads to manual reconciliation of large data, dispensing of accurate individual payments to sellers, as well as delays (in payments) and lack of transparency between both the parties," read an official statement from the company. Seller on boarding: As per RBI's mandate, aggregators need to maintain a nodal bank account and settle payments to sellers within T+2 days ('T' could be the date of transaction, shipment date of order, or delivery of order etc.). The new solution takes care of nodal account registration and other regulatory requirements for the sellers, in turn saving on the significant operational cost attached to do this. PayUPaisa dashboard: Marketplace players get a PayUPaisa dashboard with which they can set conditions for the sellers who are using the platform to sell. They can decide terms like marketplace commission, fees, gift voucher values, etc. with the sellers at an aggregate level or per transaction level. The dashboard also maintains an account history and running balance of the sellers. Payment processing: The solution will also process payments and settlements for various types of payment methods like prepaid- credit card/ debit card and net banking; cash on delivery; gift vouchers and discount coupons; and online wallets. 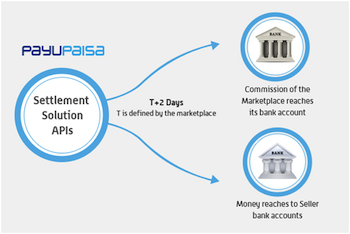 Settlements and refunds: All settlements are automatically done in T+2 days through PayUPaisa's settlement application programming interface (APIs). Marketplaces can also settle and refund money at sub order ID level. What this basically means is that a single transaction done by a buyer can have products purchased from different sellers. While the payment and recompilation will happen at the order level for the marketplace, settlements and refunds for the sellers will happen at the sub order ID level. "Marketplaces and aggregators spend huge money on putting settlement and reconciliation systems in place and are yet unable to achieve efficiency and transparency. Our automated settlement and reconciliation solution can allow marketplaces to reduce the operational costs by 85 per cent and add transparency into payment settlements," said Nitin Gupta, co-founder and CEO, PayU India. The company has already signed up its first marketplace for the new solution in the form of Urban Ladder, a furniture e-retailer. Started in 2011, PayU India is part of PayU Group, a South Africa-based multinational group of media and ecommerce platforms. 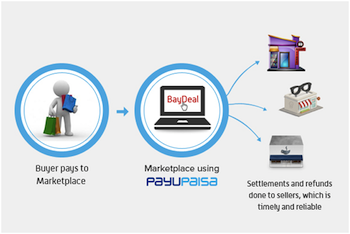 PayU empowers buyers to pay and sellers to get paid online. It also allows any individual or a business to go online in a few minutes and start collecting online payments with the help of online documentation. The firm claims that it serves more than 5,000 merchants, including Goibibo, Snapdeal, Bookmyshow, Jabong, Ferns n Petals, Freecharge, Zomato, Tradus, Rechargeitnow, Micromax Mobiles, and Groupon India, among others. Headquartered in Gurgaon, PayU India also has regional offices in Mumbai, Bangalore, Hyderabad, Kolkata, Pune, Jaipur and Shimla.